House sitting agreements - How Important Are They & Do I Need One? There’s a lot of talk about house sitting being a “trust based community” as part of the “sharing economy”. So we’ve always been a little bemused that most of the international house sitting platforms recommend and offer downloads of “house sitting agreements” – we thought we’d look into why. We have our own house sitting agreement that we are always prepared to offer home owners, but after five years of house sitting, we’ve only used it once. This was in our first year for new home owners and it provided them with a level of reassurance, making them feel more comfortable about letting strangers into their home. Could this create a potential problem? Are we relying too much on the trust so often spoken about in our community? Or, can we be confident that we have enough mutual respect to deal with all aspects of a house sitting assignment by communicating and confirming details together? Can we do this without the necessity of a formal contract or agreement? “A contract is a legally binding agreement reached between two parties, the terms of which the courts have the authority and obligation to enforce. An agreement is a less formal creation of an obligation between the two parties. Nat Smith co-founder of HouseSittingAcademy reaffirms this point. “If a house sitter or a home owner finds peace of mind and therefore confidence in having a signed agreement, then they should absolutely use one. However if either party are feeling to follow their instincts and trust the essence of the win/win fair exchange benefits of house sitting, the only documentation required is a handbook, or manual of instructions. Have you used a house sitting agreement? We know some house sitters who do use house sitting agreements, but many others who don’t. For the purposes of this article we are talking generally about house sitting assignments listed with match making platforms, or through personal recommendations. Not those organized by house and pet sitting agencies, where “employees” are paid for the period of the assignment. “I use the agreement from MindMyHouse for homeowners where we sit for the first time, mainly because I think it gives them some inkling that we’re serious about what our role is. It also gives them a place to write down any instructions regarding their pets and home maintenance chores. For repeat house sits, we don’t bother, but some owners have chosen to update their last agreement with new information. It’s also a good thing for the owners in case they have different sitters in the future, as they don’t have to start from scratch. I send the document in advance via email and just explain that it’s mostly for our benefit – that we need written instructions to ensure we do the very best job maintaining their home. Don’t be embarrassed to ask the tough questions! “I have never used contracts nor have I been asked to. Mostly because we aren’t residents of the countries where we are sitting, so it would be pretty hard for anyone to pursue any legal action against us. What do the house sitting platforms say? We asked three of the top international house sitting platforms what they think. They all offer non-legal “house sitting agreements” for their members. Rachel Martin of TrustedHousesitters describes the options available. “At TrustedHousesitters we provide lots of tools to facilitate the perfect house sit. These are all available on the members dashboard area. Our House Sitting Agreement is not a legal agreement or contract, but it could be made into one with a lawyers input. What it does do very well, is provide a clear communication to manage the expectations of both parties – home owner and house sitter. House sitting agreements ensure there are no misunderstandings about what you need to do on the assignment. Ours is comprehensive and covers key areas for the house sitter. This includes (but is not limited to), expectations of behaviour, and requirements within the home and for the pets. It can also cater for any agreed financial arrangements. For the home owner it provides a lot as well. Examples include a check list of key areas that the home and pet owner should consider covering with their house sitter. There is also an area to provide emergency contact details for their home and pets. Do agreements keep us more focused on the details? It seems that a contract or agreement can really focus the home owner and the house sitter, ensuring that misunderstandings do not arise, especially on first-time assignments. International platform Nomador uses a standard contract, which takes its inspiration from the “Lending for Use Contract of Articles 1875” and follows the French Civil Code. “The spirit of house sitting is usually one of mutual trust. Nevertheless, signing a contract is always important because it provides a formal framework for the relationship. It helps avoid any ambiguities or misunderstandings. In international house sitting, the degree to which a contract is recognized in law may vary. It will depend on the countries of origin and nationalities of the parties. But a written contract will formalize each party’s commitments. At Nomador we propose a standard contract. You can adapt this agreement to the assignment’s specific requirements. It is best accompanied by a home-book (house and pet instructions etc. ), and a basic home-inventory. … but even friends fall out occasionally and often over the smallest of issues. While developing your reputation and feeling your way in the house sitting community, an agreement may be a good option. It could avoid conflict when things go wrong that are outside your control. “Anyone engaging in an assignment should prepare well. Obtain a clear brief from the home owner and fully understand your responsibilities as a house sitter. We recommend both parties formulate an agreement together, because we all occasionally have to deal with the unexpected. Thinking through “what ifs” prepares you, and the very process of writing an agreement together protects you both. It allows your to outline your expectations, and ensures you know what to do ‘just in case’. HouseSitMatch offer lawyer-prepared templates for house sitting agreements to all registered members. Have you discussed your mutual expectations? It is rare that house sits go wrong. When they do, however, having a clear understanding of each others original expectations goes a long way to preventing a situation of conflict. This can be either a verbal contract based on trust, or a written house sitting agreement or other document that provides a higher level of reassurance. To build trust between two parties you need to talk and air your concerns. Make sure you understand fully each parties requirements. If this needs to be in writing then so be it. If you are happy to trust each others word then that is fine too. At the end of the day it seems it really is down to personal choice. A lot of problems that occur on assignments are simply due to a lack of communication. For instance the home owner didn’t mention that the food in the freezer was off limits. Or, the house sitter forgot to ask what to do if expensive vet fees needed to be paid. 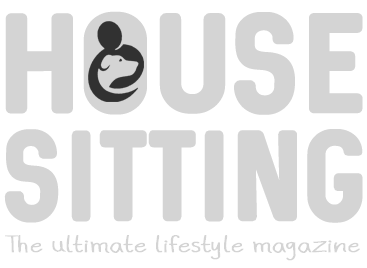 You can read House Sitting Magazine’s extensive article about the expectations of both house sitters and home owners, by clicking here. Preparing a house sitting agreement, or at the very least a questionnaire, means all of these things are considered and thought through by all parties. A detailed questionnaire can be just as effective and far less formal. It still allows you to address expectations and requirements, and clarifies everything including duties and responsibilities for the house sitters and the owners. Do you have external and/or internal security or web cameras? What is the process if a call back to base is activated? “I don’t necessarily see myself as part of a trust-based community. With each new home I am potentially dealing with people who see this as a clear service that they have a requirement for, at any given time. Is it a case of trust your instinct? So it seems there is no definitive answer one way or the other. In some cases a contract or agreement may be purely practical, providing a degree of reassurance. In other cases they are unnecessary. As with many decisions when house sitting, it appears that the best advice is to trust your instinct. Weigh up each house sitting assignment individually. We’d like to thank everyone who contributed to this discussion and also stress that none of us are “legal” experts. 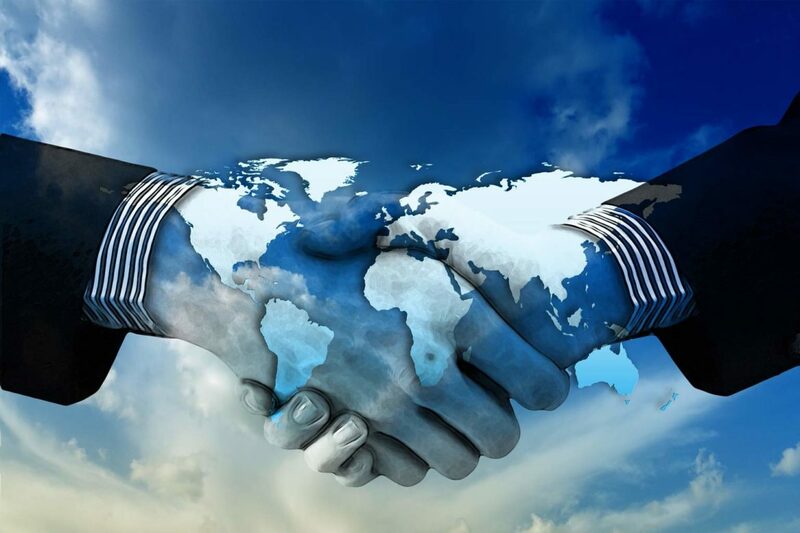 Contract law is complicated and varies country to country. Even state to state in the USA. There’s a very fine line between a contract and an agreement in America. Many people we spoke with were much more concerned about the use of contracts and agreements in the US. If you have any concerns about the legality and possible consequences of using house sitting agreements in the USA, talk with a lawyer experienced in US contract law. If you want to take a look at some house sitting agreements and associated documents, you’ll find most of the major platforms have useful downloadable resources. You’ll usually find these on their websites or within their Member Areas. If you are still unsure, you can always talk to customer services at the house sitting platform you’ve signed up with, or start a conversation in the comments below. I’m not sure about anywhere else in the world, but in OZ verbal agreements are quite legal and enforceable, however somewhat hard to substantiate. Even though the days of “your word is your bond” and “hand shake agreements” are for the most part gone, we have found they still exist in House & Pet Sitting and love the relationships of trust such an attitude develops. We agree Gavin – it’s refreshing to be part of a trust based community where this type of exchange still takes place. The lack of monetary exchange probably helps to maintain this – long may it last!